As we all know, the internet has gone SEO mad over the past decade or more, and with every reason. As of September this year, Internet Live Stats reported that the total number of websites the world over finally reached the milestone of 1 billion, and if you head over to that website right now (click on link above) you can watch that number racing up and up in real time. Indeed, by the time this blog gets posted I suspect that the figure will exceed 1.1 billion. And, if you think about it, that’s just the number of websites. Each site contains any amount of pages, blog posts, images etc. etc. etc. It is indeed possible that this figure amounts to the trillions. 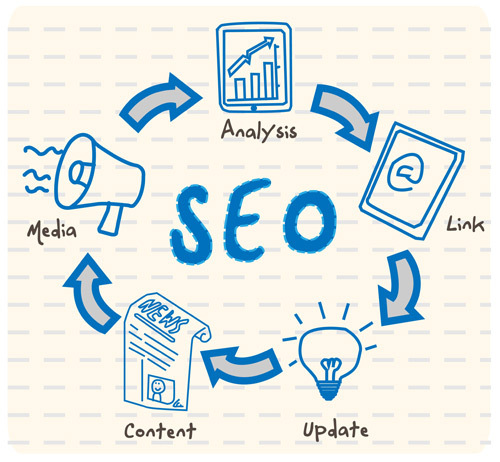 How a user finds your site and your pages in this ever-expanding forest is of course what is known as SEO (search engine optimization). However, one of the most important factors that small businesses especially have to think about is their local SEO. Google and other big search engines have integrated special technology to help internet users find businesses that are nearby to them. So, for example, if you are looking for a ‘decent coffee shop’ and you type that into the search engine, instead of being given a list with all the coffee shops in the world from Hull to Amsterdam in an arbitrary order in terms of location, you are instead first given a list of those that are nearby. However, as a business owner with a website, there are of course still certain practices that you must be well versed in when it comes to building your site to improve your visibility in terms of local SEO. For, if you are the owner of a decent coffee shop, you will no doubt be within relative close proximity to others (or at least they will surely be claiming that they are indeed as ‘decent’ as you), and so your job when you build your website will be to focus on your local SEO to make sure that you are at the top of the search engine results page (SERP) when users in your area try and find you. The better your visibility, the more customers you will attract, so below are 5 tips and tricks to improve your local SEO. The best way to help your customers and, more importantly in this instance, Google find you is to make sure that your company’s full address and phone number is listed on every single page of your website. Just restricting this information to your contact or home page isn’t enough – it must be on every page for good local SEO practice. If you can, put it in the header or footer of your website’s theme so that it will automatically appear on each page. The chances are that Google will already have a location listing for your business. You will need to go online and verify that the information is correct and then claim it as yours. You will then need to do the same thing for your Google+ page, though make sure that your information across all of these sites matches the address and phone number on your website precisely character for character. As with all SEO, having a decent amount of inbound links works wonders. So, when it comes to local SEO, having the businesses in your area linking to your site works in the same way – these links act like recommendations, and if plenty of businesses are recommending you in your area, then Google will ‘reward’ your site with a good local SERP ranking when users are looking for things to do and places in their area. A good way to try and garner these links is to approach your neighbouring businesses and offer to link to their site in return for them linking to yours. You might even make some new friends as well. More and more Google and other search engines are moving towards providing users with more visual search results. So, if you don’t have any pictures of your business, then Google will favour your competitors who do. So, get the camera or smartphone out and start snapping your business so you can show your customers what they can expect when they visit. Whether it’s local SEO or not, content always remains king. So, make sure website is filled with it. Tell your customers why your coffee shop is so decent. Where do you source your beans, how comfy are the seats, how friendly is the service? But, on top of all those things, what truly makes great content is information that doesn’t directly promote your business. Rather, offer weekly or even daily blog posts explaining how your coffee is harvested or what have you. By giving your customers free information or help and advice and your site will be deemed both generous and authoritative, and that is exactly what internet users want, which in turn translates into what Google wants. Put simply, improving local SEO is all about providing quality, up-to-date information about your business and its services. Follow these 5 tips and you will be well on your way to leading more customers through you’re your front door. Finally thanx for the good read and by the way how much time you took to analyze and post it? just curious!! !